The Shake Up Learning community never fails to amaze me! They are always sharing new ideas, lesson plans, tips, tricks, and asking insightful questions. This week was no different. The group shared so many amazing ideas, tips, tools, features, and keyboard shortcuts, that I knew I had to compile these for easy reference and sharing. Not only did I put all of these tips together in a Google Sheet, but I also added links to support documentation and blog posts so that you could learn the tip if it wasn’t familiar. I’ve embedded the Google Sheet below. I’ve also added links so you can view and make a copy if you wish. We are all better together! Look at how much we can learn and share and this is just the tip of the iceberg. Thank YOU for being a part of Shake Up Learning! My Favorite Tip: Sir Links-a-Lot! I don’t like to play favorites, but this one blew me away! Rachel Murat shared one of my favorite new Chrome extensions; Sir Links-a-Lot. If the name isn’t enough to make you smile, what it does will make you giddy! It’s AWESOME! It automagically makes those unique links in Google Apps for you, like force a copy, template, preview, or PDF. Now that is just a small taste of the fun and Googley goodies in this post. So, without further ado, here are your 45+ Google tips for teachers and students! What are your favorite tips? Join the Shake Up Learning community and share! 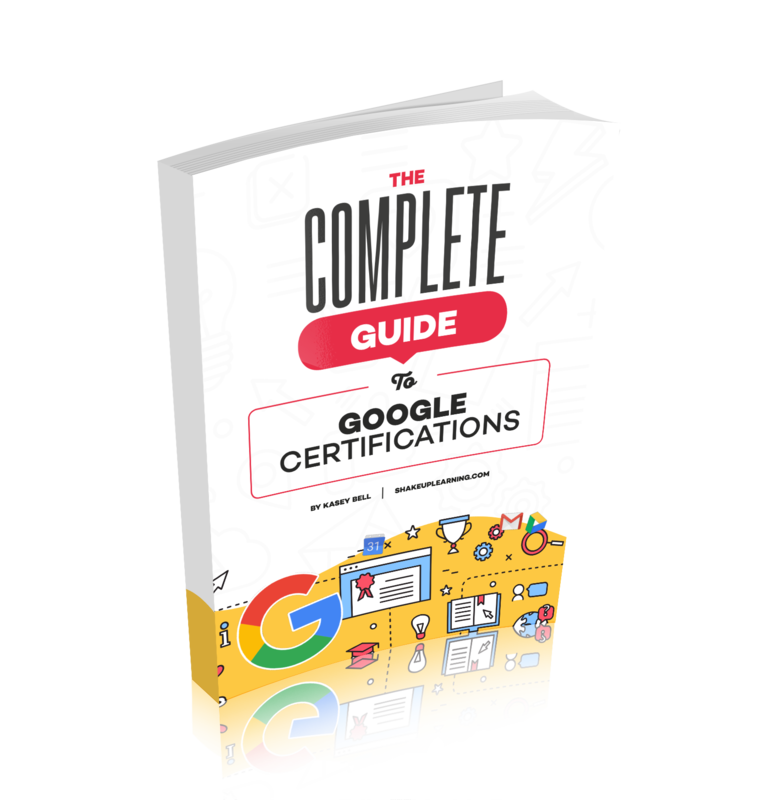 Get Your FREE eBook: The Complete Guide to Google Certifications! Sign up for exclusive Google Certification email updates, and information about the upcoming e-course from Shake Up Learning and get this FREE eBook: The Complete Guide to Google Certifications! Success! Now check your email to confirm your subscription and download The Complete Guide to Google Certifications. 45+ Google Tips for Teachers and Students from the Shake Up Learning community!